Over the past couple of years there have been few games that I've looked forward to more than those put out by Zeboyd Games, the 2 man crew responsible for Breath of Death VII, Cthulhu Saves the World, and now episodes 3 and 4 of Penny Arcade's series of games. Their work just contains a certain quality to them that few games do - a quality that says that the people making these games love JRPGs as much as I do. So having beat Rainslick 4, and knowing that Zeboyd is looking for feedback, I thought that I should compile my thoughts on their most recent game in one place. Easily the biggest thing that I enjoyed about Rainslick 4 is all the different ways to approach a battle. As someone looking for that depth of gameplay, I really appreciated coming up to a battle, losing, adjusting my strategy and switching some equipment, and then winning. It's like a puzzle, but not the annoying kind, it's a puzzle that involves doing the things I actually enjoy. Solving the puzzle can be very satisfying, although I do wish it was a little easier to switch out accessories once you've seen what you are up against in a given battle. However on this note I feel I should also mention that, by the end of the game there were actually too many different permutations of party members and equipment. With 20 or so party members, all with unique abilities, it get's really hard to keep track of who can do what, how you have their equipment set up etc. Not to mention that the game's UI really doesn't work when dealing with that many characters. On a similar (though somewhat ironic) note, I was not a fan of the way the party was separated in 2 until the end. It really messes with the pacing when you jump back and forth between the two. It works well narratively to say "ok this group is stuck doing this for a bit, let's see what the other group is doing". It's frustrating in terms of gameplay though. Every time you switch you are going from a stronger group to a weaker one with a totally different set of abilities, plus it makes managing your equipment fairly awkward at times. However where the irony comes in is that, I actually felt like this part of the game before the two parties merge was the best. Reason being, the game felt a lot tighter and more coherent when dealing with groups of 6-8 monsters. There are lots of options without being overwhelming. When all is said and done, I ultimately prefer the Rainslick 3 model better over all. Having a larger degree of customization on a smaller number of characters get's rid of a lot of the issues facing the system. It's a lot easier to keep track of what each class / person has available to them, it's a lot easier to build UI for, and I think it just builds a better narrative. Beyond all this, I also felt like the game's pacing in general was a bit off, and it could have done with being a few hours shorter. 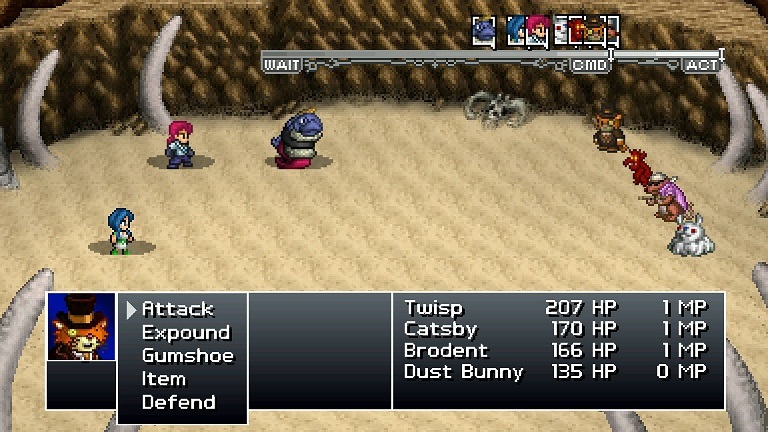 Zeboyd has always done a good job of keeping the pace up in their games, with snappy combat systems. In Rainslick 4 it just felt like the variety of gameplay was very thin, and in some places it really started to wear thin (most notably, the back to back battlefield and Q'atra dungeons). It just feels like 95% of the game is spent in combat or exposition, which is odd because objectively that's been the case in all Zeboyd games, but I never really felt it before. 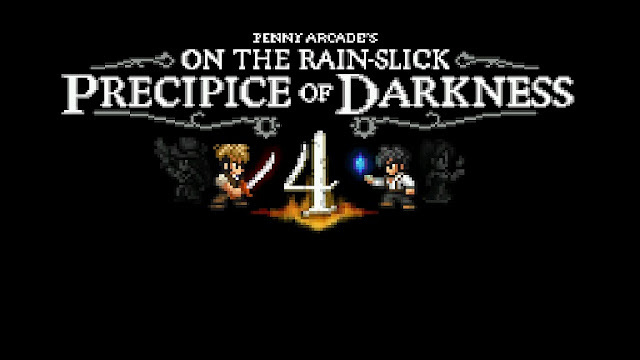 Not to mention that there is more exploration and secrets to find in Rainslick 4 than any of their other games. I think what it comes down to a few things. In previous titles you could spend more time examining objects and such which makes the environments more interesting and gives you something else to do (As much as I'm sure it was a giant pain writing and coding text for every gravestone). I also felt like the areas in Rainslick 4 were just less interesting in general. They looked and sounded amazing, but there just felt like a lot less variety and creativity. As a result it feels more like a really pretty funnel to the next point of interest. Aside from that I only really have 3 other, smaller complaints. The first is that I felt like the rewards from optional end-game content were gravely insufficient. It was really rewarding to me personally to complete these challenges, but it seemed like each of these areas gave very little exp (understandable, given the game's balance philosophy). I never ended up using the ultimate shoe weapon, the "secret" monster or the "secret" monster trainer. The only reward that really felt substantial was the ability to face Fish Force again, and steal their mascot. This leads me to the second complaint. The game is way to focused on magic. Which is fine to a degree, magic has a tendency to be more interesting, and is somewhat balanced in that magic users tend to be more squishy. It just feels wrong that once the groups meet up, there doesn't seem to be much use to strength types. And the final complaint: the game's writing took an odd turn in this title, though being as that wasn't really Zeboyd's role in this game I won't expound on it. Ultimately, Rainslick 4 just wasn't quite as awesome as I was ultimately hoping. It has amazing art, amazing music, a lot of really funny moments, tons of cool secrets and very good core gameplay. It's held back by a fair number of things here and there though. Many of them are small issues that are kind of niggling things that are hard to put your finger on. Many of them are quite possibly just personal preference. 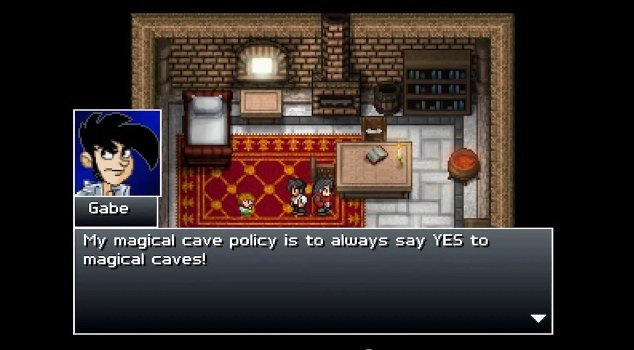 In the end of the day though, I would not hesitate to give Rainslick 4 a hardy recommendation to anyone who enjoys RPGs the way they were meant to be made.